A patented executive conference room table which looks great in any high profile installation with it's striking features and splayed leg design. 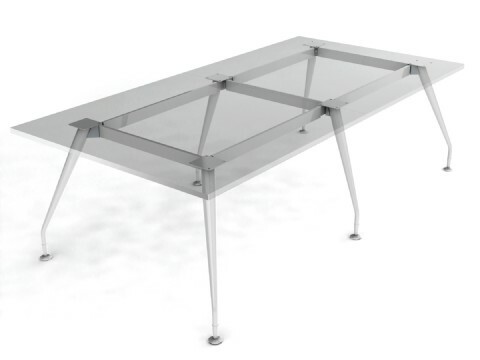 If you don't require the desk top we do sell the frames by themselves through our sister company: BPF where you can also buy the individual beams and legs if custom configurations are required. We also offer huge range of desk accessories including Modesty panels & Screens, Cable Management solutions and Monitor arms which can be purchased along with the desk kits.